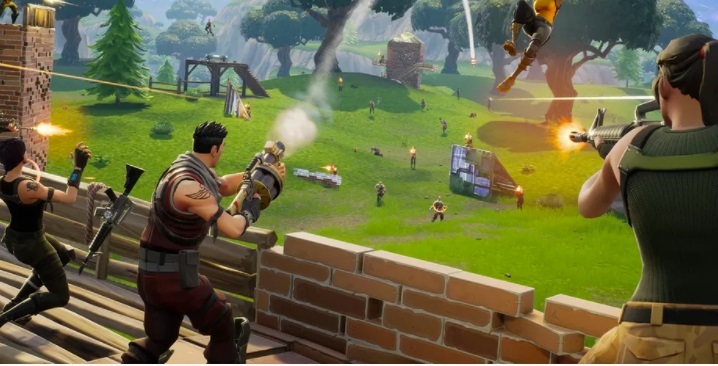 Previously we reported on not only was Fortnite being developed for iOS and Android Devices. But it will also have cross-play between the devices, PS4/Xbox One, PC, and Mac. Fortnite is available on PS4, Xbox One, PC, Mac and soon iOS and Android. However, we had questions on how exactly this would work. Would it be everyone gets lumped into a queue? Would you be able to opt-in, similar to how Gears of War does this for Xbox and Windows 10 play? I mean, that’s pretty important, is it not? Seems that EPIC Games thinks so and has shed some more light on how it will work. Nick Chester, a PR Manager at Epic Games states there will be a queue and an opt-in as well. Mobile gamers will have to opt into playing against PC and PS4 games. Once they do this they’ll be played into a queue. However, at the same time, PC and PS4 gamers won’t be able to jump into mobile lobbies. While mobile games can deny PC and PS4 gamers from interrupting their full. There’s no word if PC and PS4 gamers can also opt out of playing with mobile games. Though I don’t see why they’d want to this, outside of good sportsmanship. Speaking of which, the signups for the iOS event is open. Click here for an invite to the iOS Fortnite waiting list. And don’t worry Android owners, your time will come soon enough. Sadly, it seems that Sony and Microsoft still can’t come to an agreement with each other. Which means that we won’t see any crossplay between the PS4 and Xbox One versions. It seems that Sony is still against working with Microsoft, for reason or another. The last time any sort of cross-network play was questioned was when both were approached for cross-play with Rocket League and Microsoft. On both occasions, Microsoft was embracing the idea, while Sony sat it out on the sidelines. Hopefully, those two can find some common ground, not for their benefit but for the gamers.